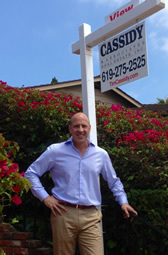 SOLD in an ALL CASH DEAL with a 10-day escrow ABOVE its list price! Cozy 3 bedroom 1 bath Clairemont house with 1 car garage and fireplace. Estate sale with no court approval needed.